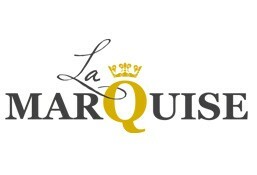 La Marquise Restaurant & Cafe is currently closed for delivery and it will open at 08:00 AM today . Lettuce, tomatoes, cucumber, red radish, spring onion, mint leaves, sumac powder, Served with pomegranate molasses. Rocca leaves with beeteroot.Served with lemon and virgin olive oil. Smoked salmon, cream cheese, pesto, lemon, fresh dill, capers, cucumber, avocado sliced on brown bread, Served with green salad. Another classic - this time with tasty zaatar [dried thyme mixture]. Simple but classic - with melted cheese. Delicious melted cheese over smoked turkey slices.